Fidelity Investments is hiring and here are just a few (of many) reasons to head on over to their job listings to apply to your next dream job!  I had the distinct pleasure to have Harold Stankard, the Senior Vice President, General Manager and Regional Leader of the Fidelity Investments Regional Center in Jacksonville, FL as a recent guest on Hard Workah with Pete the Job Guy. He shared great information based on his 21 years at Fidelity Investments (that’s a LOOOOOONG time). To listen to the full conversation (or read, if you’re a reader), click here. Before I dive into the reasons to consider working at Fidelity Investments, I’m going give important background information. Fidelity Investments is one of the largest and most diversified financial services firm in the United States with over $7 trillion in customer assets. Fidelity Investments serves over 27 million Americans by helping them build a strong financial future. One in five American investors has an account with Fidelity Investments (and they actually handle our 401k at GEE Group Inc. NYSE: JOB). For more information on Fidelity, click here. All in all, Fidelity Investments is a hot destination employer nationally. Specifically, in Jacksonville, Fidelity is planning to hire 70 to 100 people by the end of the calendar year of 2018. If you’re already convinced that you or a friend should work for Fidelity Investments, (then great!) click here to view the current job openings. If not, keep reading for my 6 reasons to work (and stay) at Fidelity Investments. So, if you’re like my co-host Arren and you’re a working mom, this is going to be something VERY appealing. They have a whole room dedicated to moms. And get this, IT WAS DESIGNED BY MOMS. So, it has everything you need if you have just had your child and you’re ready to enter the workforce again. The room concept is so thoughtful and cool itself, but this is just one of the many things that prove Fidelity Investments will go the extra mile for YOUR comfort – again, the word “comfort” is not even on the radar for most companies, just remember that! At the beginning of the show, I shared a couple stats on how long commutes can affect your work day, ultimately wasting your time and making you more stressed. You’d be happy to know that Fidelity Investments is in the center of Jacksonville, off Gate Parkway, on Touchton Rd. This not only means lunch at some of the best places in Jax (I may be biased) but also a shorter commute for many of you! “I just LOVE going to work and sitting in a boxed cubicle for 8 hours a day, 5 days a week, not interacting with people around me,” SAID NO ONE EVER. One thing that Harold mentioned that is VERY rare in Jacksonville is that the office has an open floor plan. There is nothing traditional about walking into their office – the cube walls are down, which ultimately drives flexibility and work ethic up. They have a new 50,000 square foot facility here in Jacksonville! Harold Stankard: We wanted to do things in a new, modern manner that created a really collaborative work environment for our people. So, when thinking about this new 50,000 square foot facility, most people would visualize a traditional call center setup. Where is there is this big room with lots of cubicles and everybody has a headset and they are tied to their computer all day, and also tied to their phone. Let me tell you, this is not that. Every one of our associates works off a laptop and a wireless headset. There are no cubicles. It’s all flat desks with open areas. There are standing stations all over the place where, if you want to get up, you could even mid-conversation, detach your laptop and walk around the building and go to a couch to finish the call or a standing station to finish the call. We’ve been in this space for about six months and the results are just awesome. Most people feel much more free while at work, they collaborate with their peers better. We tore down the walls. We tore down the traditions and we’ve created this new, really cool work environment. Fidelity Investments allows you to dress comfortably (of course, if it’s appropriate) so that you can save your brainpower to focus on more important issues and feel good! Now, I will say there is a difference in dressing appropriately for interviews, but once you land the job and prove that you’re a ‘hard workah’, then enough spending hours on thinking about what to wear or moving to adjust your pants or socks that ride up or down throughout the day – just dress for comfort and work hard! I like that, I mean Steve Jobs and Mark Zuckerburg did/do it. Pete: Harold, maybe you can help me out with this. I see a lot of folks that graduate college and they’re wrestling with so much student loan debt and people make life decisions based on that debt, or perhaps maybe they decide not even go to college just to stay out of debt. Do you have any kind of programs or something that Fidelity Investments offers for people carrying substantial student loan debt. Harold Stankard: Yes! It’s a legitimate concern for people today and on one side, we’re constantly advising parents, grandparents and others on how to best save for future college, so debt isn’t required, but there are a lot of us, myself included, who leave school with debt on the books. And, about a year and a half ago, Fidelity Investments unveiled a pretty awesome benefit. In addition to tuition reimbursement programs that most companies have, we now have a Student Loan Debt Repayment Benefit where we will help you pay back your student loans if you’re a Fidelity employee. We’ll help you pay back up to $10,000 worth over five years. When making hiring decisions, Fidelity Investments looks for hard working individuals that have a passion to serve others. Fidelity Investments has a phenomenal and innovative training program to help you to be successful no matter what previous experience you bring to the table. Harold Stankard: If there are people in this industry that are interested in Fidelity Investments, we’d love to talk to them, but the majority of people we hire, believe it or not, don’t have financial services experience. We teach those skills… It’s really important for us to find people who are learners, who thrive on learning… we’ll help you get licensed. We’ll teach you the dynamics of our firm and how we serve customers. Just getting licensed in this industry is not easy. In the past, the historic pass rates for the Series 7 license have always hovered in the high 60 percentages nationally. We hover around 90%. So, we make sure we prepare people for that examination. Fidelity will train you so that you can be the best in your field. Whether you are already familiar with the finance industry and just don’t have certifications OR even if you are new to the industry, it will definitely bump up your personal development! Additionally, they are aware of the human condition. I firmly believe that businesses who recognize that customers are people and not numbers will create a highly valued experience for their customers and gain even MORE business. Fidelity Investments uses technology (virtual reality) to teach their employees, firsthand, this concept that ‘people are people and they have real problems’. You don’t get this type of training just anywhere, it only comes from successful businesses who have a genuine relationship with their customers rather than simply a transactional relationship. This is truly invaluable. There you are! These are the reasons you should consider working for this hot destination employer, Fidelity Investments, provided to you by me – a staffing expert who has been in the field for over 20 years. So catch this opportunity and apply now, before it’s too late! If you have your resume ready, apply here, today! Ready to listen to the full conversation, click here. I had licensed Realty Professional, Kim Sessions, in the studio the other Sunday and we talked about “everything houses.” In case you missed the full conversation, here were her tips for before buying your dream house. Kim: Get pre-qualified first! So, the biggest thing a lot of times is people just, they think they can afford “x” and they start a window shopping and even start looking and then they can’t afford it. And then, you have your mind set on a certain price house and you can’t get it. And then it’s a big struggle. So, it’s very easy to get pre-qualified I would say. That’s the absolute first thing that you need to do. Kim: Oh my gosh, they have something for everybody. But it’s, that’s why it’s so important to pre-qualified again because if your credit is not that great, it can affect what your interest rate would be. And that could actually push you out of a whole price point of a house. Kim: I would interview agents that do take buyers out and see if they’re qualified to know what you want. Do they have the knowledge and the ability to get you the best deal. Check out Kim’s advice for home-sellers here. I had licensed Realty Professional, Kim Sessions, in the studio the other Sunday and we talked about “everything houses.” In case you missed the full conversation, here were her tips for before putting your house on the market. Pete: …it’s called Kim sessions, right? Kim: [laughs]. Well, yes. The first thing you should do — Which is everyone’s non favorite thing to do is declutter. Go through closets, depersonalized, things like that. It gets very overwhelming because you open a closet and you have a small closet and you take everything out and it fills the whole room. It’s amazing what we just shove in places. So, really it’s not really cost. That takes a lot for a lot of people their time. Kim notes that it is important to declutter because it does take a lot of time, but also, could cost you money in the end. Kim: You could have a house that wasn’t even updated but was super organized and clean and you would maximize and get a great price for it. You can have an updated house that was dirty and not organized and people view that as you don’t take care of your house and you will not get the maximum price. You can’t for your house. Kim: I get this a lot. “Well, I’m going to leave a couple of these obvious things out because the inspector has to get, you know, ding a couple of things.” But the reality is, is if you take care of these things before you put it on the market and get a contract, you can have a handyman or you could do it yourself. When you start getting into your home being under contract per the contract, you do need to use a licensed contractor, which means you are most likely spending more money and frankly, buyers are walking in and they’re looking for things. So, if they see a ripped screen, that’s so easy and cheap to fix, you don’t want them to see that; you want them to walk through and see an immaculate house and they will be impressed. They will give a really great offer for that and just have the confidence that the house has been really taken care of. Kim: So, a lot of people can’t visualize, so I do recommend to neutralize. I don’t go into every house and say you need to repaint your whole entire house, but if it’s a color that doesn’t really meet the mass, a lot of people will walk in and they can’t get past it. And painting is very easy fix. So, you know, the grays are the new neutrals right now. So, we really recommend sometimes it really will bring more money to the table by painting. Kim: So, we’re actually seeing more for sale by owners right now because we are in a great market. But, it’s not as easy and as it is; there’s a system in place and there are strong statistics that show that you are leaving probably money on the table by not listing with a professional that does this on a daily basis. You are also putting yourself in a safety situation. We are in the one of the most dangerous occupations; we have to really pay attention. We have to field out people, and really try to qualify them before we even meet them because I am putting myself in big jeopardy meeting a stranger. So, the safety is a huge factor. Time. I mean, you’re taking a lot of time. You have to leave work to go open the house up buyers. I mean when they want to see a house, they want to see a house. So, not all of them are going and wanting to see it from 7 – 9 on the evenings or on the weekends. So, you really want to try sell your house, be available at all times. Kim: I would say the financial part of selling a house, have an idea of what the closing costs are, what are the fees are, so you really know what your profit is at the end of the day and you have no surprises. Check out Kim’s tips for homebuyers here! Patricia: So, what’s really important for them to do is I try to provide as much information about the company and about the job description and they need to do their homework. Everybody’s got to do their homework. I can’t do it for them. So, when I mean homework, it’s more like going to the website of the company, figuring out information about the company. Who’s the president? How long has the company been? You know, what’s their mission says and then not only that, but the expectations of the job. So, that it’s important for us to know what they’re going in. I don’t want anybody going rogue, you know, and asking some crazy thing. Recruiters are your professional coaches. They give you professional tips on any and everything you need to know so that you land the job (and keep it)! They are your help before, during, and after the interview process. Recruiters can typically help with your resume. They understand the company so they know how to make your resume more appealing to the company and they know how to highlight your strengths. Recruiters can naturally prepare you for interviews through practicing difficult to answer questions and through encouragement. reminding you to write/send a thank you note. These are all small things that you don’t have to stress about so you can focus on landing the job! Going even further, even after you land the job, our recruiters can still help you. They can assist with orientation, questions you may have (but are not confident to ask to your employer). They are still there to assist you. Patricia: Knowing how are you going to sell yourself to that company because hey, you know, not everybody’s in sales, but when you’re looking for a job, you’re in sales, let’s be real. So, you have to be able to identify with that, what you’re going for and how to market yourself. So, doing that homework, quote unquote, research on the company is, is very important. Due diligence is required. Conducting this due diligence at the level companies are expecting will give you the answer on how to market yourself to the company. Understanding the background, the goals, the needs, the problems/pains of the company will propel you above the other candidates. This knowledge and your skills will form your value which is answering how you will fill the gap between their problems/pains and their goals. Kumi: I always, actually, advised the candidates never to discuss money in an interview. And also I always let them know like that’s what I’m here for. You don’t ever have to talk about money. That’s my job… one of the things that we’re able to do is, we would not have them go to that interview or be put in that process with that knowing the ballpark of what the range is for the position offering.